Agribusinesses and others involved in the meat trade are being urged to have their say about new rules for exporting meat products. 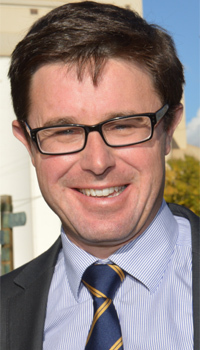 Agriculture Minister David Littleproud said the new Export Control Rules would bring in modern, flexible and streamlined export laws for meat producers. “I want to keep the doors open for Aussie meat exporters and this will give overseas markets greater confidence in our products,” Mr Littleproud said. “These rules will make exporting meat straightforward and cut duplication of paperwork and processes. Existing export-related legislation is being streamlined and consolidated into the Export Control Bill 2017 (the Bill) and Export Control Rules (the rules). Draft Export Control Rules 2020 – Meat and Meat Products (draft meat rules) have been released for consultation. They will replace the Export Control (Meat and Meat Products) Orders and parts of the Australian Meat and Livestock Industry Act, the Australian Meat and Livestock Industry (Export Licensing) Regulations and the Export Control (Prescribed Goods – General) Order. Stakeholders have been invited to make written submissions by December 21.